It was an impressive field of candidates with strengths that ranged from flashy pyrotechnics to the sweetly musical, but at the end of the night on April 27th, it was Keaton Ollech who walked away with first prize. Second prize went to Ceilidh Briscoe. 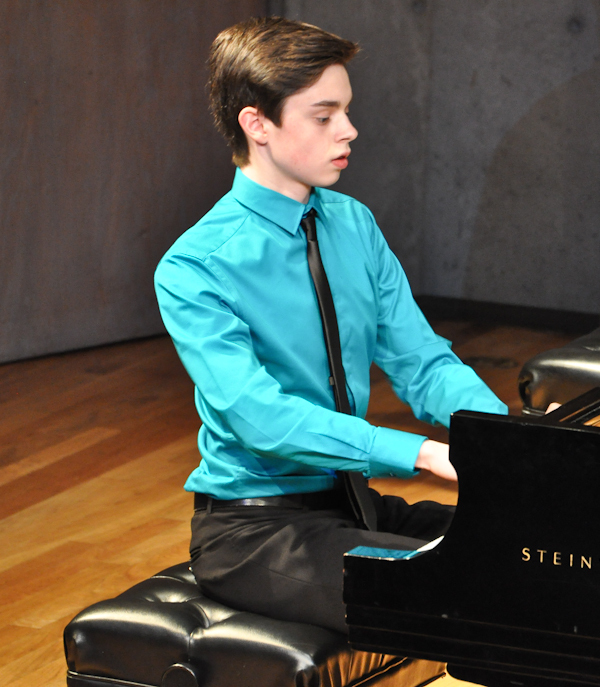 Ollech, who is fifteen and studies with May Ling Kwok, wowed the audience with his performance of the first Beethoven piano concerto, Opus 15. He will perform the Beethoven with the Sooke Philharmonic at our October concerts, and takes home $500. Briscoe, who played the Mozart Violin Concerto No. 5, K. 219, receives $300. Cash prizes are courtesy of Long & McQuade. This year’s jury was composed of David Stratkauskas, who leads the Victoria Children’s Choir—Apprentice Choir, as well as working as an organist and jazz musician; Dolores Vann, from Gabriola Island, who has a distinguished career as a violinist; and David Watson, our Principal French Horn, who is also a choir director and organist. While the jury was deliberating, members of the audience were invited to vote for the young performers, and the audience had its own opinion. A total of 42 ballots were cast. People were asked to rank their top three favorites. 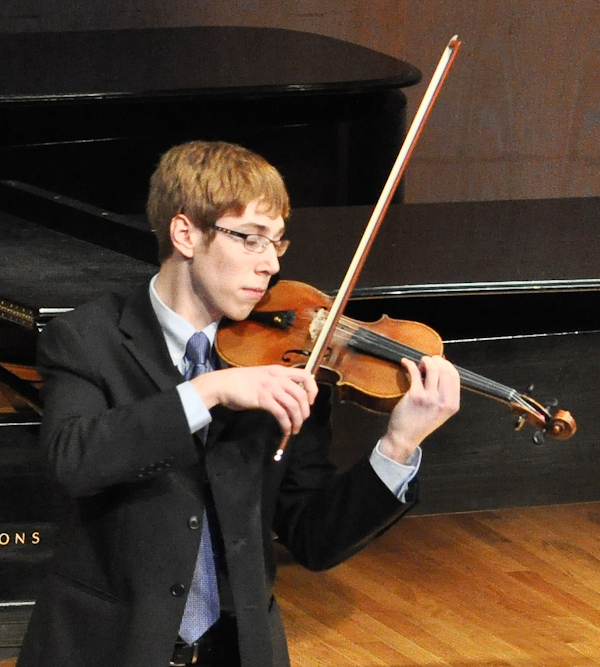 When these votes were weighted and tallied, Blythe Allers had secured the top spot with his performance of the virtuosic Violin Concerto in E minor by Julius Conus. 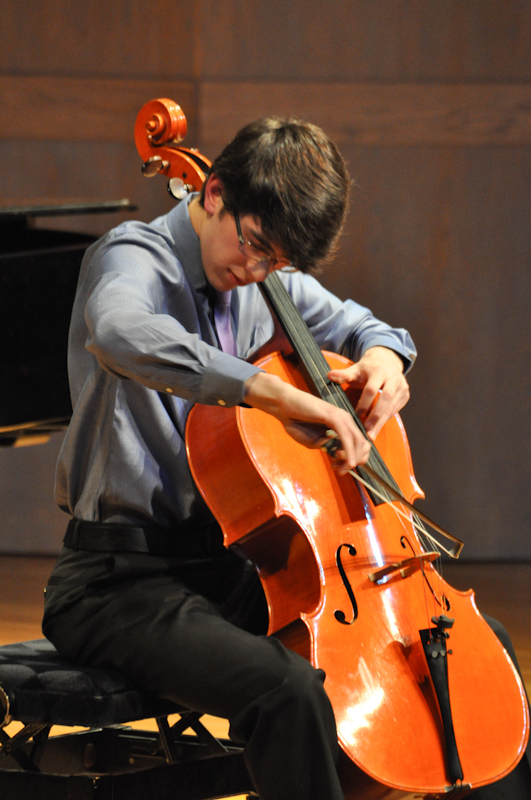 Keaton Ollech was in second place, and Ethan Allers secured third place with the Shostakovich cello concerto. Ceilidh Briscoe and Lucy Zhang placed fourth. 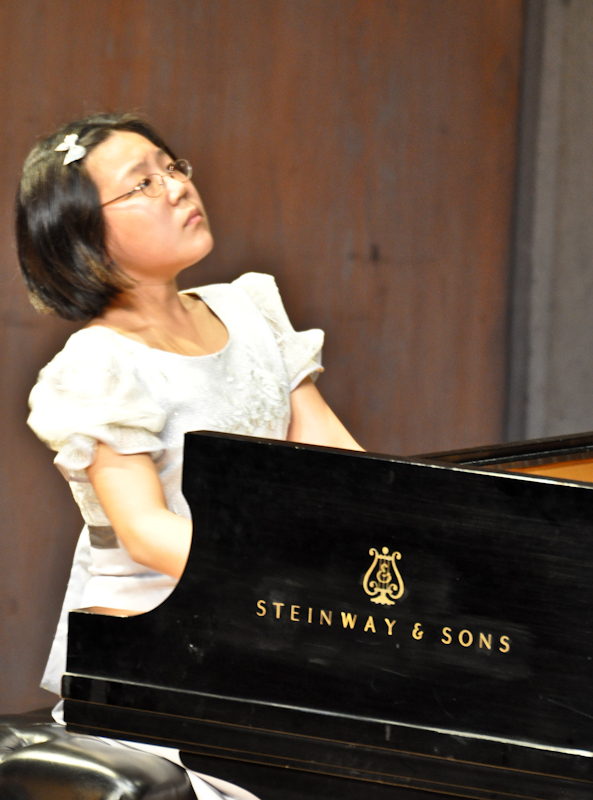 Zhang played the Mozart piano concerto No.12, K.414. The audience was invited to make comments, which you will see below the excellent performers’ photos, snapped by Michael Nyikes. Of course the jury’s decision is the important one, but the audience choice ballots remind us of the subjective element in any artistic competition. All the young musicians who played on Saturday were impressive — no one present would have argued with that. It was a delightful evening and it went very smoothly, organized by a team of Sooke Philharmonic performers and board members, who are always ready to support the next generation of musicians. The audience, too, was a mix of musicians and SPO volunteers, and of course the competitors’ family and supporters. 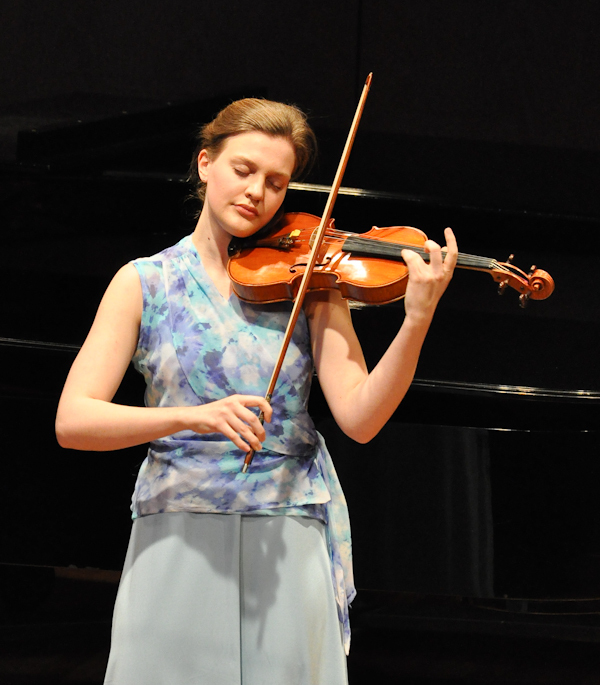 Blythe Allers – gutsy, nervy feel to the playing… thrilling!